You may remember environmentalist Mark Lynas from his lecture at the Oxford Farming Conference in January about his own reversal on genetically-modified organisms. Thousands died because the President of Zambia believed the lies of western environmental groups that genetically modified corn provided by the World Food Programme was somehow poisonous. I have yet to hear an apology from any of the responsible Western groups for their role in this humanitarian atrocity. Lynas goes on to gut-punch pseudointellectuals like Vandana Shiva, Paul Ehrlich and the Union of Concerned Scientists. As usual, Lynas stresses the horrible consequences from these anti-science hucksters and lays out the facts in an engaging manner. Michael, it's the LEFTYS that are pro-GMO. 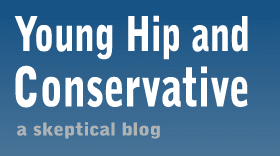 Look around at the other conservative blogs or media: they are NOT pro-GMO. In fact I would say being pro-GMO is a good marker/test to show you have no clue about anything in science at all and are just spouting arbitrary nonsense for the sake of argument or fighting with zero critical thinking at all.